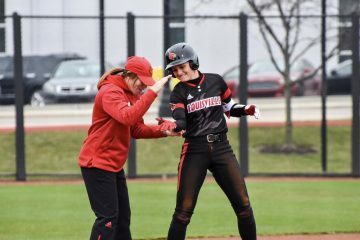 Make the trip to Ulmer Stadium this Wednesday as your University of Louisville Cards are set to host the University of Kentucky for an annual Battle of the Bluegrass on the diamond. Series History: Louisville leads the all-time series 19-18. The 2016 edition, UK won 2-1. Kentucky has won 5 of the last 6 meetings. 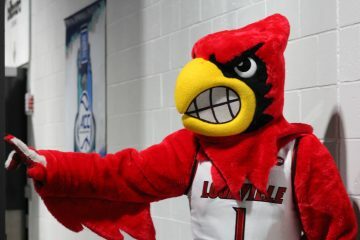 Currently: Louisville enters with a 22-12 overall record, including a 6-4 record within the ACC. UofL is currently fifth in ACC standings. 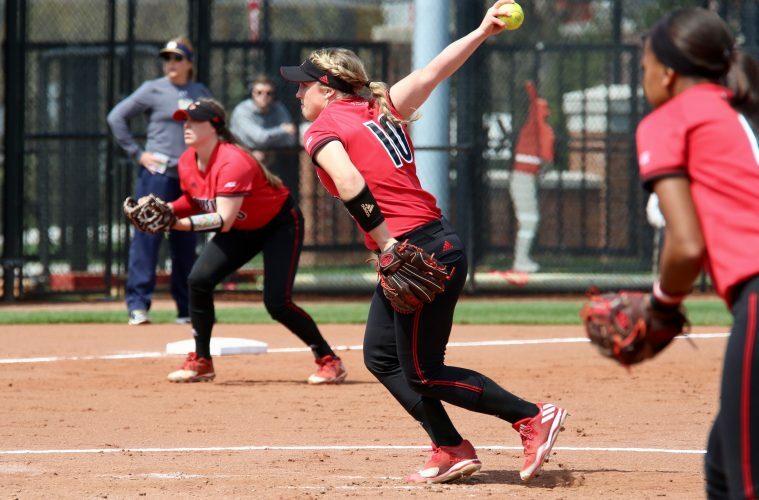 The Cards dropped a three-game set with Boston College over the weekend, which was their second ACC series dropped this season. 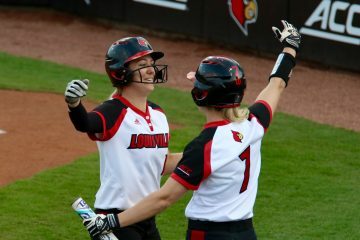 The Cards are led offensivley by Nicole Pufahl – who is hitting at a .394 clip with six homers and 34 RBI. Pufahl is one of five UofL hitters above the .300 mark. 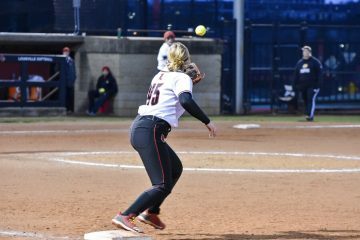 In the circle, it’s again Maryssa Becker who leads the charge – with a 1.97 ERA in 153 innings of work and a 17-7 record. Kentucky is currently ranked #20 in the ESPN and USA Today polls. The Cats have played 13 teams of the last 15 in the Top 25. The Wildcats currently are 34th in the NCAA with 63 stolen bases. The Wildcats have made every NCAA Tournament since 2009. One of the key’s to Kentucky’s great start to the season is no doubt Erin Rethlake, both at the plate and in the circle. In week two of the season, she became a slapper – for the first time in her softball career – she is hitting .309 with 30 hits and nine RBI. In the circle, she is second on UK with a 1.59 ERA and a perfect 6-0 record. The Cardinals’ roster features nine (of 19) players from the commonwealth of Kentucky. Caitlin Ferguson (Fr., INF, Versailles, Ky./Woodford County), Lillie Goetz (So., INF, Owensboro/Owensboro Catholic), Shelby Graybill (Fr., INF/C, Ft. Thomas, Ky./Highlands), Megan Hensley (So., P/UT, Ashland/Paul Blazer), Jordan McNary (Sr., OF, Madisonville/Hopkins County Central), Morgan Meyer (Sr., OF, Louisville/Mercy), Ashley Nikolao (Jr., UT, Flaherty/Meade County), Michala Riggle (So., C/1B, Louisville/Christian Educational Consortium), Jordan Vorbrink (So., OF, Louisville/Mercy). The Cats’ roster features six (of 21) players from the commonwealth. Brynlee Bigelow (IF/OF Fr. 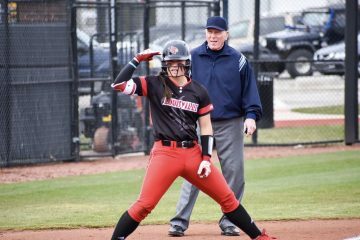 R/R Somerset, Ky./Somerset Independent HS), Kelsee Henson (Outfield So. L/R Paducah, Ky./McCracken County HS), Madison Kearschner (Outfield So. 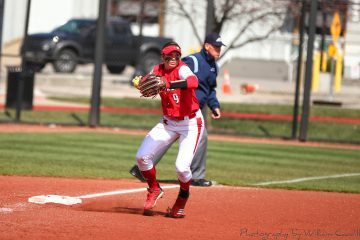 R/R Louisville, Ky./Ballard HS), Sarah Rainwater (Outfield So. R/R Nicholasville, Ky./East Jessimine HS), Breanne Ray (Outfield Sr. L/L Benton, Ky./Marshall County HS), and Bailey Vick (Outfield Fr. R/R Paducah, Ky./McCracken Co. HS). The game will be televised on ACC Network Extra with Don Russell handling play-by-play duties and yours truly (; providing my best analysis. As always, Go Cards Go!! Previous ArticlePODCAST: TBG, Biscuit, & Mark Talk About Everything......... REALLY.